A collection of unique textiles are on display at the Baltimore Museum of Art (BMA). “Kuba: Fabric of an Empire” has collected royal garments and display textiles to tell the story of the rise and fall of Africa’s last great pre-colonial kingdom. The items were either worn by members of the royal court or were gifted to the aristocracy by subjects of the Kuba kingdom. Many galleries and museums have examples of Kuba textiles in their vaults or on display, but BMA has taken the additional steps of having their collection carbon dated to determine more precise ages for each textile. “Everyone knew that the Kuba kingdom produced these really spectacular amazing textiles, but they didn’t know how old they were, they didn’t know really anything other than how they were being used right now,” Kevin Tervala, BMA Associate Curator and curator of “Kuba” told the AFRO. The textiles are woven of fine fibers of raffia palm fronds. 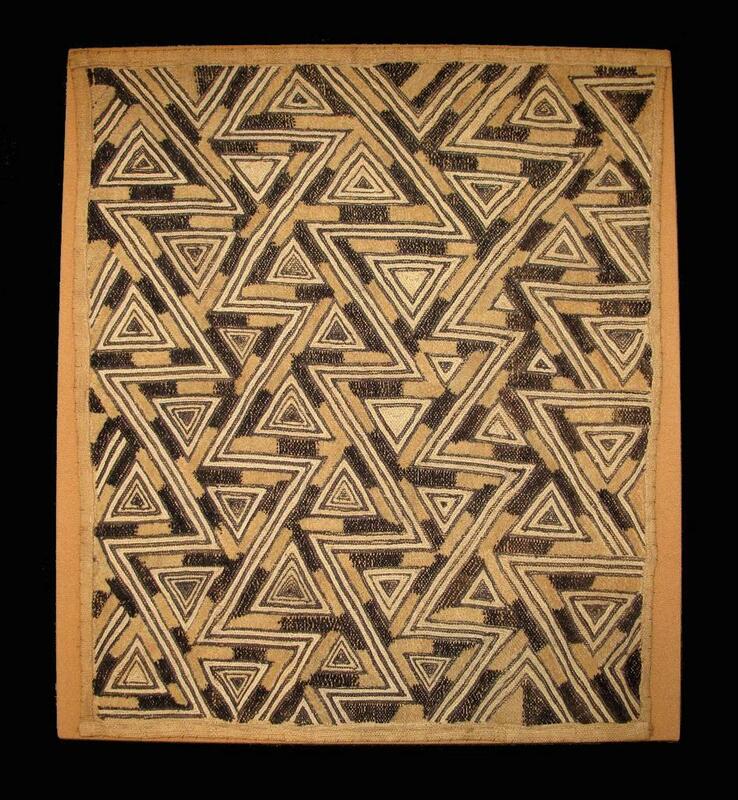 The raw material is gathered by Kuba men and a foundational fabric is woven on a loom. Kuba women take over the design phase embroidering the base and applying geometric patches. A royal skirt is over 25 feet long and wrapped around a royal several times. The final product has a velvet-like sheen. All such Kuba textiles are designed to draw in and entrap the eye, Tervala says. Those in the presence of royalty are almost entranced, the eye fixes on the material and thus, the aristocracy. While all the textiles are unmistakably Kuban, there is nevertheless an obvious change in the practice and theory of design over the centuries. As the outside world crept in and ultimately invaded and conquered a closed kingdom, textile design became one way of adapting or coping. Helping to make the strongest case is a timeline of fabrics showing how designs changed with outside conflict, civil war and finally the sacking of the court by Belgian colonizers. “What we’re able to do for the first time is tell the history of this kingdom, which has never been done before, anywhere,” Tervala said.